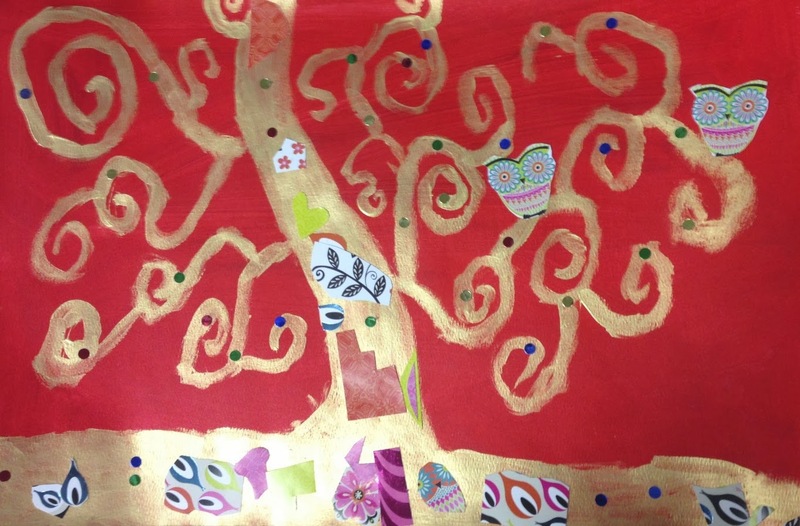 The grade 3s Klimt inspired tree of life: gold acrylic paint on acrylic painted paper and collage material. What a reaction when I revealed the special gold paint! 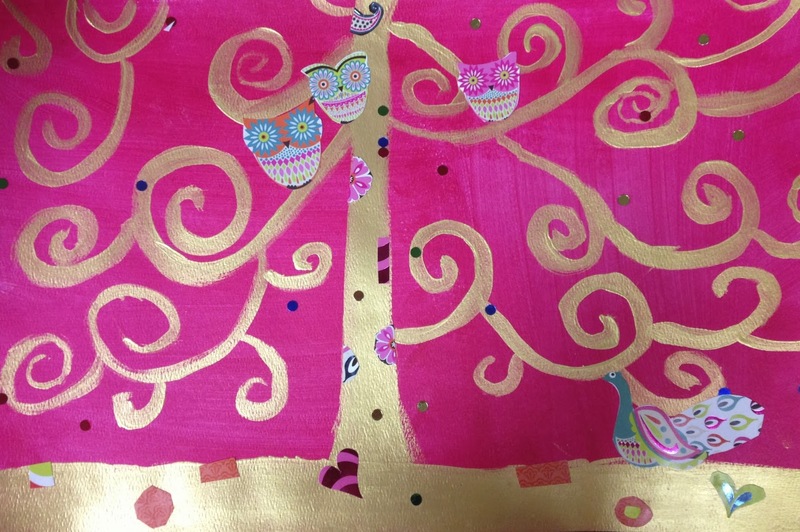 I found these looked best on the red and pink backgrounds but we tried a variety of colours.